The article in question by Swati is ironically about Journalistic integrity where she writes about the episode of Arnab Goswami allegedly lying about covering the 2002 Gujarat Riots. You think so? I don’t even follow him. Will now. Don’t compound an offense with bad faith. Is your claim that you coincidentally, on the same day, crafted exactly the same words? Come on. Honestly best thing is to apologise, fix the article with attribution, – it’s a pair of tweets, for crying out loud – then move on. I don’t follow you but will make the changes. Since then it seems she has removed those sentences from the article but it remains to be seen if “DailyO” which carried the article, questions her about the incident. This isn’t the only time Swati has been in the news for the wrong reasons. We had recently reported how BJP Delhi spokesperson Tajinder Bagga had filed a defamation case against her for allegedly spreading falsehoods about him on twitter. 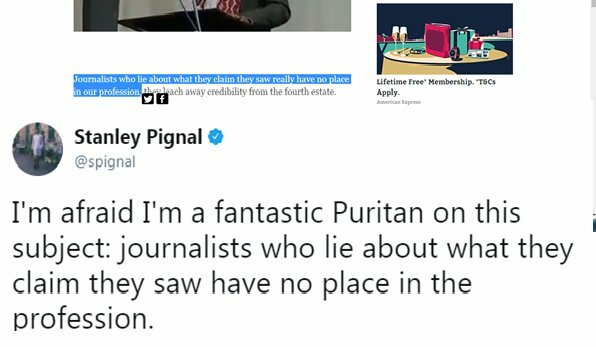 Plus apart from tweeting abusive things to people who don’t agree with her, she has also filed fake stories and resorted to targeted harassment in the past.